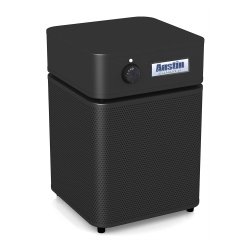 Austin Air HealthMate Plus Replacement Filter contains True HEPA Filter and Specialty Enhanced Carbon Filter for Austin Air HealthMate Plus air purifier. 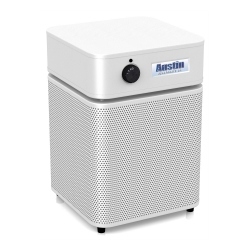 Austin Air HealthMate Plus Replacement filter consists of True HEPA and Carbon filter canister with specialty adsorbent. Austin Air FR450 filter fits Austin Air HealthMate Plus air purifier. 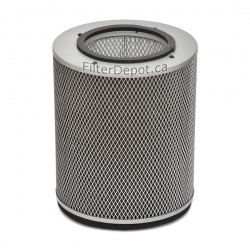 Both True HEPA and activated carbon filters are combined together in a single filter assembly. 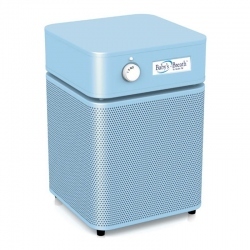 - White for units in White and Sandstone colors. 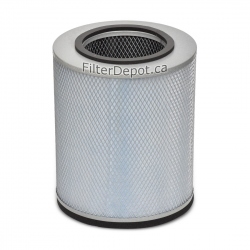 True HEPA filter traps 99.97% of all microscopic airborne contaminants down to 0.3 micron in size. 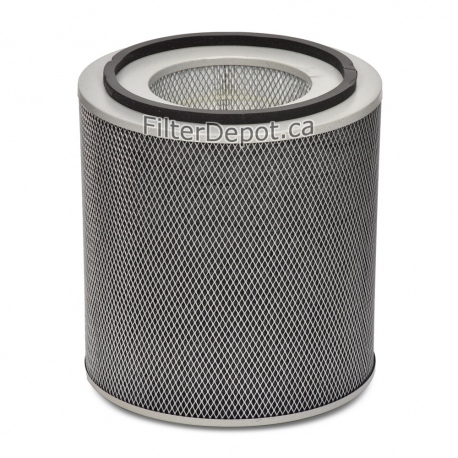 Activated carbon canister contains 15 lbs. 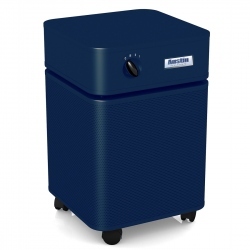 of specialty adsorbent "Superblend" for effective removal of VOCs and specific chemicals. 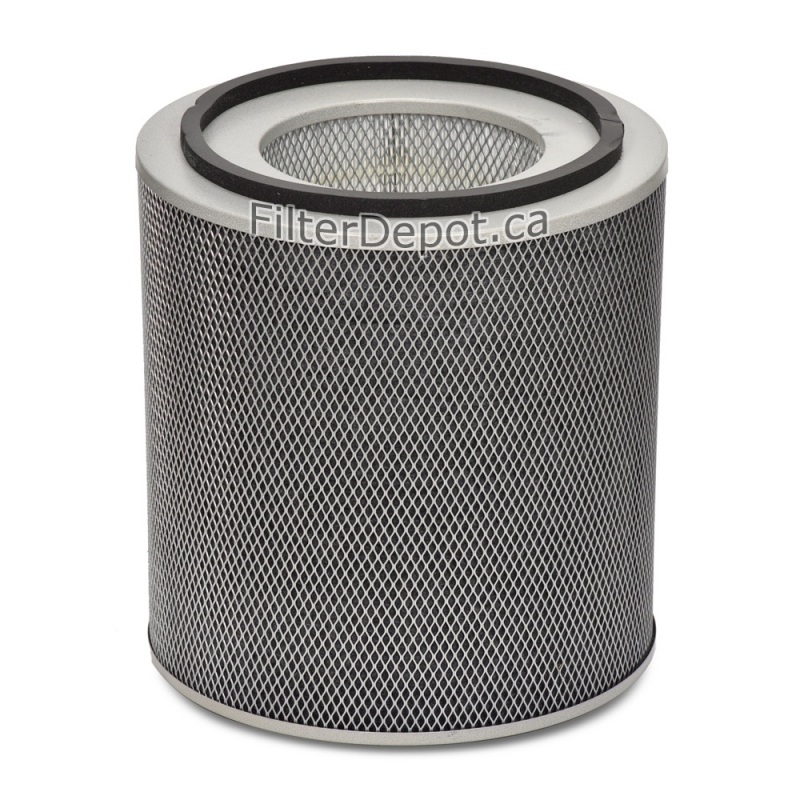 The whole filter assembly has to be replaced when either True HEPA or carbon filter canister reaches the end of its lifetime. 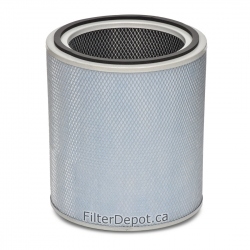 Filter's Lifetime: 2 to 5 years (under normal residential conditions). 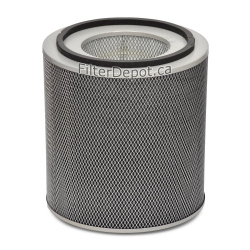 The filter assembly is covered by the 5-Year Pro-rated manufacturer's warranty (applicable to units used under normal residential conditions only). 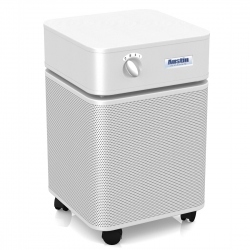 Amount of adsorbent 15 lbs.